London: Leicester's Shinji Okazaki sent Liverpool crashing out of the League Cup, while Tottenham edged past Barnsley to reach the fourth round on Tuesday. 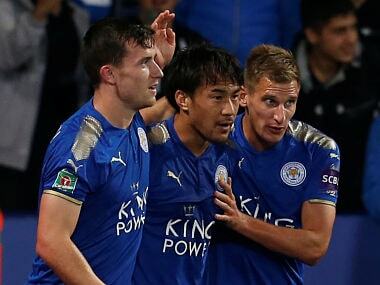 Okazaki came off the bench to fire Leicester ahead in the second half of their 2-0 win at the King Power Stadium. The Japan forward, on as a second-half replacement for Leonardo Ulloa, broke the deadlock in the 65th minute of the third-round tie. Vincent Iborra headed into Okazaki's path in the penalty area and he controlled well before scoring with a deflected strike. Reds boss Jurgen Klopp had made eight changes to his starting line-up, giving a first start to Alex Oxlade-Chamberlain, while Philippe Coutinho played the first 45 minutes before coming off at half-time. But Liverpool's disappointing recent form showed no signs of improving and Islam Slimani finished them off 12 minutes from full-time. Slimani took Okazaki's pass and drove a fine strike into the roof of the net from the edge of the penalty area. 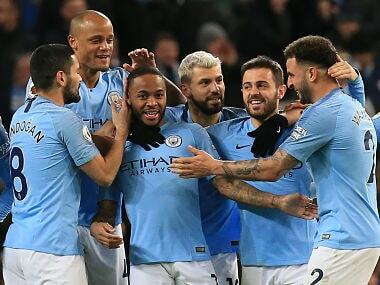 Klopp's side have now gone four games without a win after frustrating home draws with Burnley and Sevilla followed a 5-0 thrashing at Manchester City. "We played really good football in the first half. We had big chances, strange situations but football is a 90-minute game," Klopp said. "I am sick of goals like this. Leicester somehow survive in the game because we are not clinical enough. They scored two easy goals." At Wembley, Tottenham won for just the second time at the national stadium since moving into their temporary home at the start of the season. With White Hart Lane being redeveloped, Tottenham had been suffering from home sickness after failing to win any of their three Premier League games there. 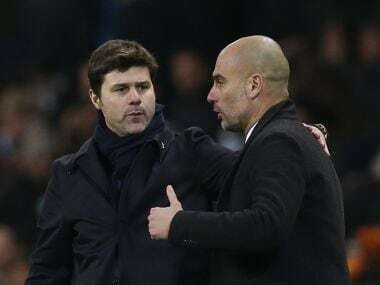 Mauricio Pochettino admitted this week that his priorities are the Premier League and Champions League, with success in the English domestic cups largely irrelevant for the Tottenham boss. But Pochettino still sent out a strong side featuring Dele Alli, Son Heung-Min, Mousa Dembele and Jan Vertonghen, while Argentine defender Juan Foyth made his debut and Fernando Llorente got a first start. 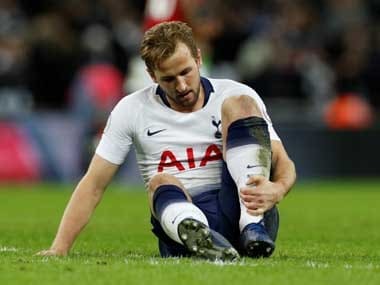 Tottenham once again looked uncomfortable in their new abode as second-tier Barnsley held out for 65 minutes before succumbing to a 1-0 defeat in a front of a sparse 23,926 crowd. England midfielder Alli finally broke the deadlock with a smart finish from Kieran Trippier's cross to give Tottenham win number two at Wembley following last week's Champions League success against Borussia Dortmund. Elsewhere in the third round, Premier League side Stoke slumped to a surprise 2-0 defeat at second-tier Bristol City. Famara Diedhiou headed City in front in the 50th minute and Matt Taylor added the second on the hour. Burnley also bowed out after losing 5-3 on penalties following a 2-2 draw with second-tier Leeds at Turf Moor. Roy Hodgson got his first win as Crystal Palace manager as Bakary Sako sealed a 1-0 win against Huddersfield. 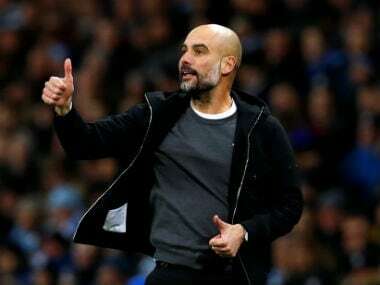 The former England coach's first game had ended in a 1-0 home defeat against Southampton in the Premier League at the weekend. But Sako nabbed the first goal of the Hodgson era with a close-range header from a 13th-minute corner at Selhurst Park. It was Palace's first goal since August 22 and Mali forward Sako's first since August 2015. West Ham beat Bolton 3-0 with goals from Angelo Ogbonna, Diafra Sakho and Arthur Masuaku. Alfie Mawson and Jordan Ayew scored in Swansea's 2-0 win at Reading. Bournemouth beat Brighton 1-0 just four days after defeating their south-coast rivals in the Premier League.